After much gardening on the weekend we had a large bunch of sticks and twigs all piled up. What to do with all of them? The only thing better than a fire alone is of course, a fire accompanied by s'mores. 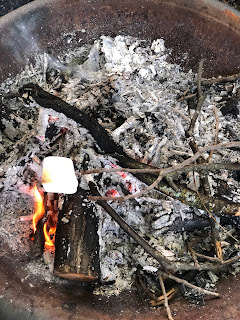 So today after work and dinner I built a fire in the fire pit, used many a stick and it was ready for s'more manufacture with the kids doing the manufacturing. 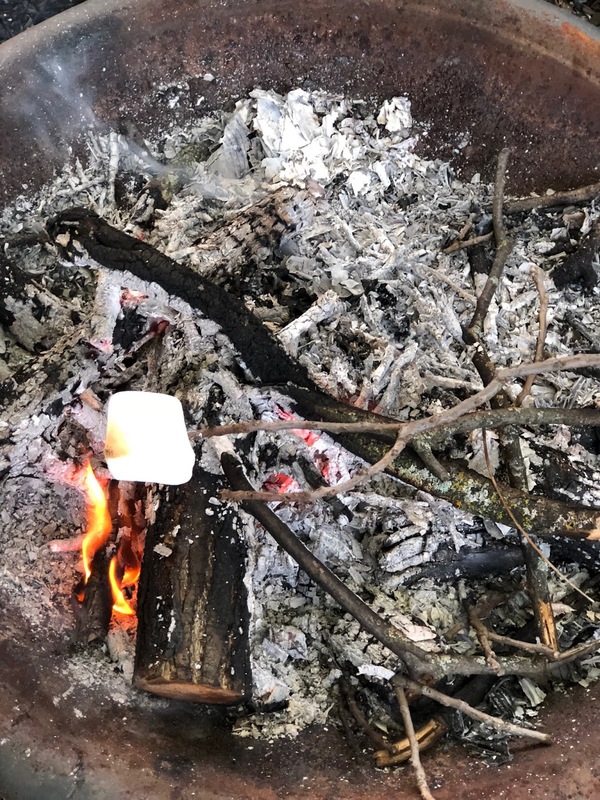 A good time was had by all, the s'mores came out according to desired specifications: golden brown and delicious for some; burnt on the outside and all melty on the inside for others. It was a nice end to the last Monday of the school year. Just a few more days to go until school is officially out for summer. drjim: Nice. The kids are no longer counting the days left, they're down to counting the hours remaining. hahaha....I remember doing the same when I was little. It's so...."normalizing", I guess, to see all the neighborhood kids running around playing ball and chasing each other. It reminds us both of when we were growing up. "Be back when the streetlights come on!" was what my parents always told me, and I think it still applies here.....right around the time the streetlights come on, all the kids disappear! Back in SoCal, 5 or 6 kids "RUNNING WILD!!!" would be sure to bring the cops, and probably Child Protective Services, too.